Engraved with the utmost care and craftsmanship in 14K rose gold, our paisley design wedding band is one of our personal favorites. Also available in White Gold, Yellow Gold, 18K Rose Gold and Platinum shown below. 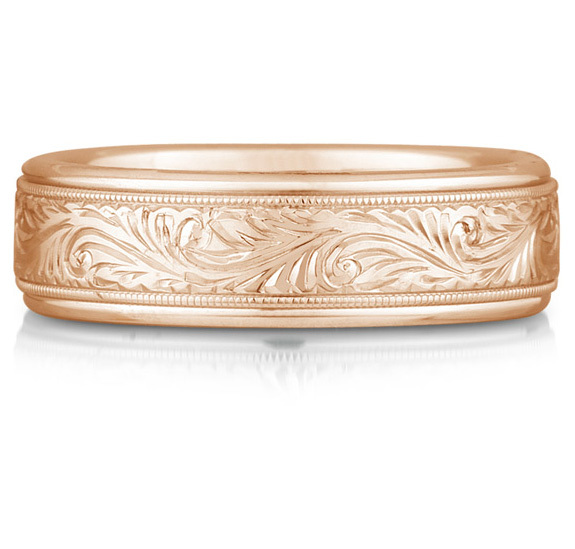 We guarantee our Engraved Paisley Wedding Band, 14K Rose Gold to be high quality, authentic jewelry, as described above.